There are many Pakistanis that have made this country proud in fields as diverse as medicine, science and technology, sport, philanthropy and entertainment. However, many have been forgotten and their stories, battles and struggles, as well as their achievements have become relegated to a forgotten history. Sharmeen Obaid-Chinoy Films is working to rectify this through their latest animated YouTube series Stories for Children. 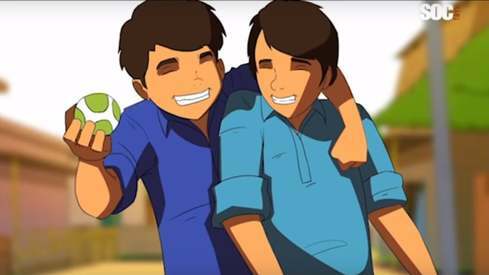 A series of animated shorts have been released charting the lives of prominent Pakistanis who have inspired millions and shaped the narrative of the country. Four stories have so far been released; one is based on Edhi Sahib as a child. Kulsoom the karate star is also featured as is Aitezaz Hassan who foiled a suicide mission and lost his life while saving the lives of his friends. The fourth story is about the village of Khalsabad and the heroes there who saved the town after riots engulfed it a few years ago. A Karachi-based film house specialising in investigative and socially motivated content, SOC Films has Academy- and Emmy-award winning journalist and documentary film-maker Sharmeen Obaid-Chinoy at its helm. Its community engagement programme called SOCH Outreach focuses on children and over the past few years has been conducting workshops in schools and community centres focusing on the art of storytelling. 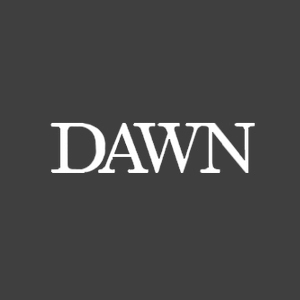 Speaking to Dawn, Chinoy underscored the need to inform children about how ordinary people can become heroes if they try. The animated films, she explained, aim to empower children to not only tell their own stories but also to “critically engage them in meaningful discussions about leadership, democracy, heroes, rights of citizens, tolerance, diversity and citizenry”. Edhi Sahib’s story, for example, presents his early beginnings, and how after the death of his mother, he moved to Karachi. His urge to help others, even those belonging to other castes, communities and religions is captured. 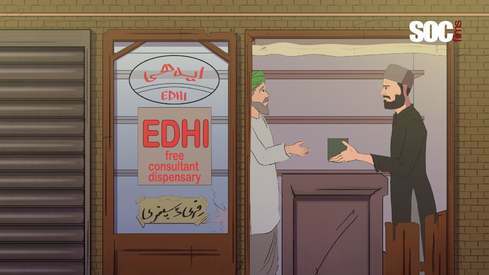 The interesting perspective of this episode is that it doesn’t depict Edhi Sahib as the older gentleman with a white beard, a vision we are used to. “Who impacted Edhi Sahib’s life? How did he make those life choices? In order to share his story with today’s youth, we examined his relationship with his mother and how she impacted his social work. We wanted to take children back to where he started from so that they would appreciate his journey much more,” said Chinoy. 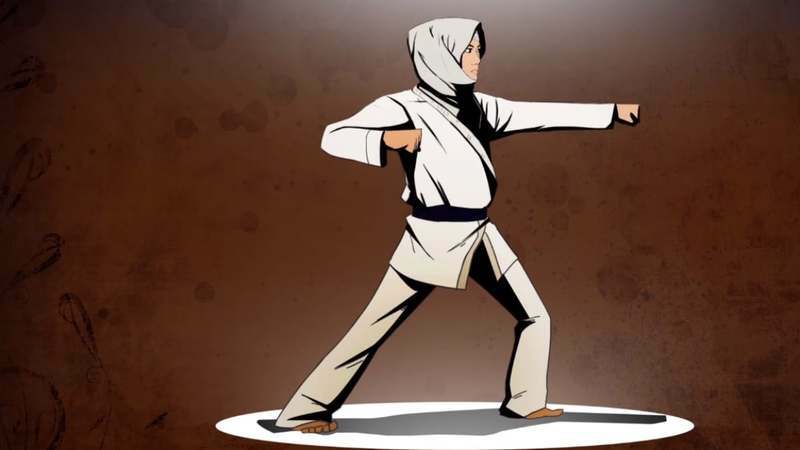 Kulsoom Hazara, the karate superstar, was born in Quetta and lost both her parents at the age of seven. She began to live with her brother-in-law Sarwar Ali who then trained her in self-defence and she went on to become one of Pakistan’s leading champions. The episode dedicated to her is an inspirational tale of resilience and perseverance. The voiceover has been done by Kulsoom who recalls the first time she wore her karate kit; she felt very strange that there was no other girl in the club. She was laughed at and mocked by the boys. She was also teased on the streets and would occasionally lose her motivation to learn karate. It was her brother-in-law who kept supporting her throughout and helped her achieve success. For Chinoy “one of SOCH Outreach’s main goals is to create films that empower young girls to believe in themselves. Kulsoom’s story had not been shared widely and when we began to interview her we realised that she embodied the spirit Quaid-i-Azam envisioned for women in the country and we wanted her bravery and resilience to become an example to emulate”. The stories are an ongoing series and more are set to be released. Chinoy explained that the series will be shared on the digital platform, and with educational and other institutions free of cost so that Pakistanis around the world can share these stories with children, in their native language. She shared credit for the success of the series with “a small team of very gifted and able writers and animators spearheaded by producer Eleyna Haroun and art director Babrus Khan; as a result people from within Pakistan as well as from overseas are expressing joy at having stories in Urdu to share with their children”. Chinoy in her career has experimented with different mediums such as live action, virtual reality, animation among others. “Animation requires extensive investment in technology which is extremely costly and not commercially viable in Pakistan; thus we have to struggle to create quality animation. But despite these hurdles, I am confident that we have enough talent to produce films that will make us proud globally,” she said. The next series in Stories for Children will focus on climate change and the films will be released later in the year.